Amidst a rising number of natural disasters and extreme weather events, the Philippines remains one of the countries most vulnerable to the impacts of climate change. 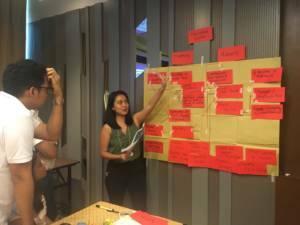 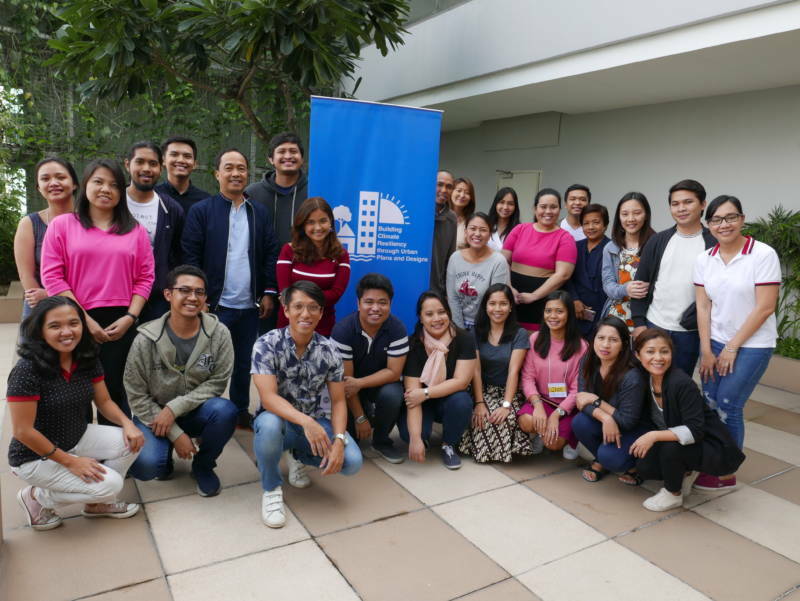 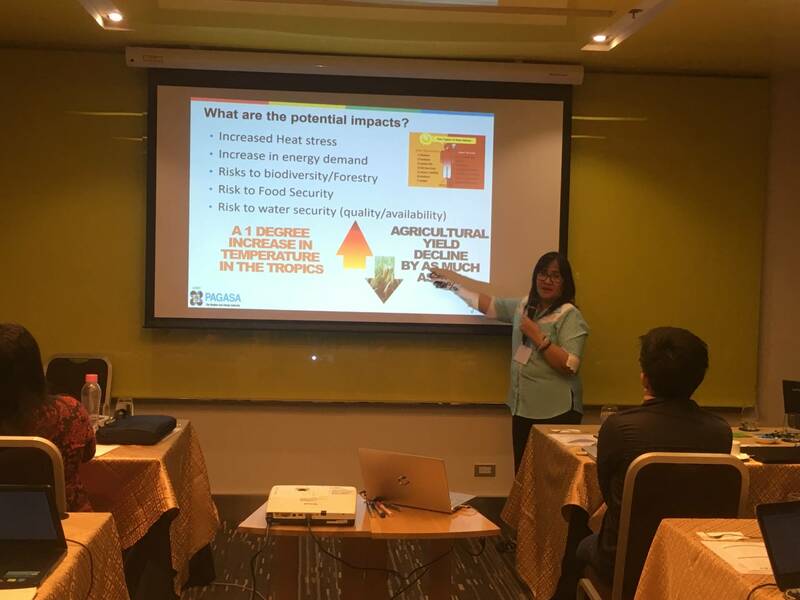 The urgency to both mitigate and adapt to these impacts formed the impetus behind the Climate and Disaster Risk Assessment (CDRA) training, held last August 2-3 and 9-10, 2018, at the Novotel Manila Araneta Center. 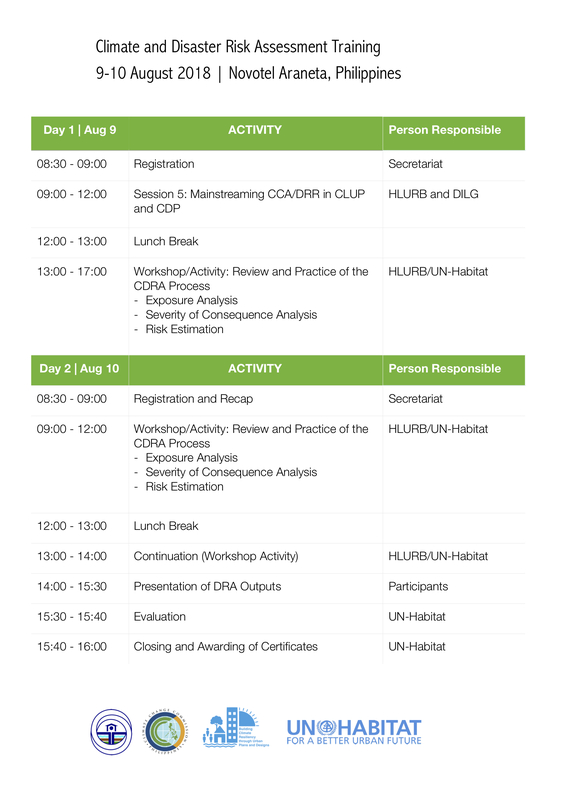 Organized by UN-Habitat and the Climate Change Commission (CCC) with support from technical staff of the Housing and Land Use Regulatory Board, under the Building Climate Resiliency through Urban Plans and Designs (BCRUPD) project, the event gathered over 20 staff from various divisions of CCC to be trained on the tools and methodologies of assessing risk. 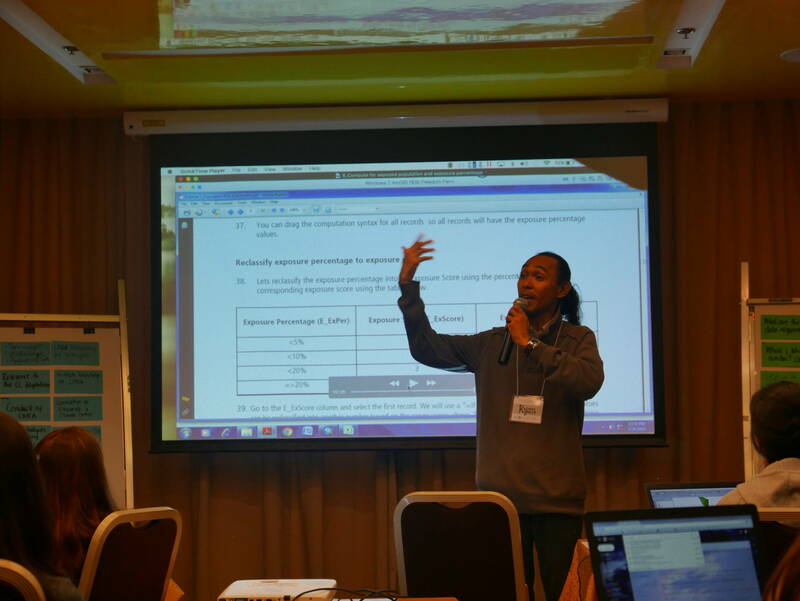 The CDRA training aimed to provide the context and present the general guidelines on mainstreaming CCA/DRR in the local planning process; introduce and explain the Climate and Disaster Risk Assessment (CDRA) Process as a tool on mainstreaming CCA/DRR in local plans; and practice the CDRA process through interactive learning sessions (workshops, group activities, coaching and mentoring). 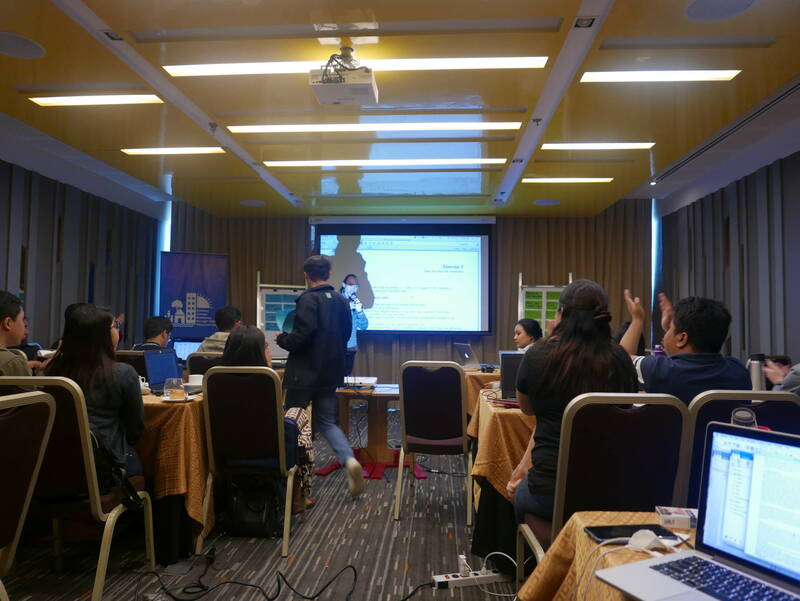 Over the course of four days, participants benefitted from lectures on technical material, matched with corresponding activities to quickly put lessons to the test. 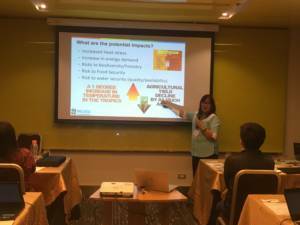 Thelma Cinco of the Philippine Atmospheric, Geophysical and Astronomical Services Administration (PAGASA) opened the training with a talk on definitions and approaches in climate projection. 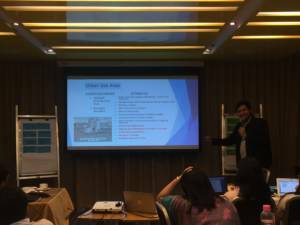 Ibani Padao of HLURB followed with a series of presentations: on the steps involved in CDRA; on the development of an exposure database; and on mainstreaming climate change adaptation-disaster risk reduction into the plans of local government units (LGUs). Additionally, the lectures provided a space for staff to raise questions directly impacting their line of work. 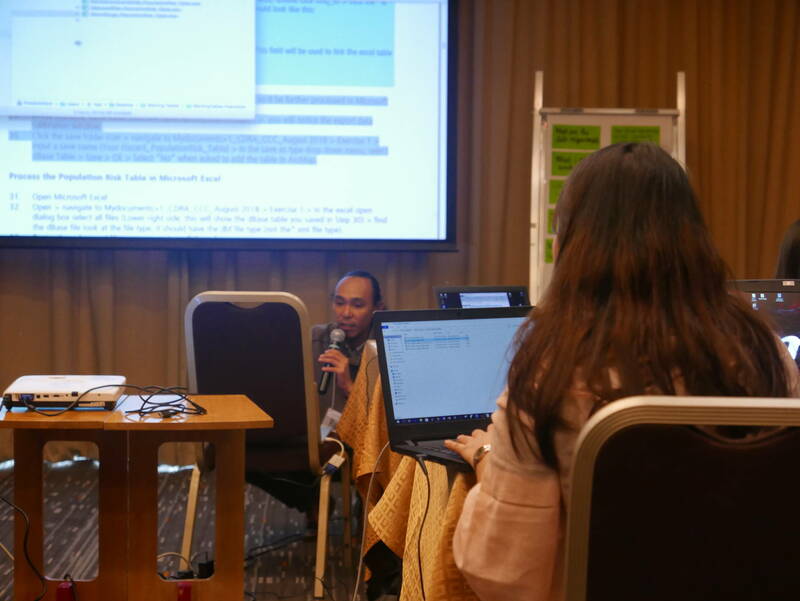 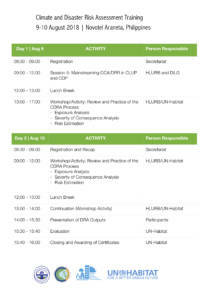 Among questions raised were how to ensure the accuracy of data; how to utilize the tools to estimate development trends; and how to incorporate sensitivity indicators, such as gender, into CDRA. Participants underlined the importance of being able to direct questions to experts in the field. 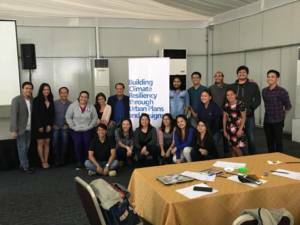 “As a policymaking body, the questions we ask all lead to identifying ways forward,” remarked France Dacumos of CCC. 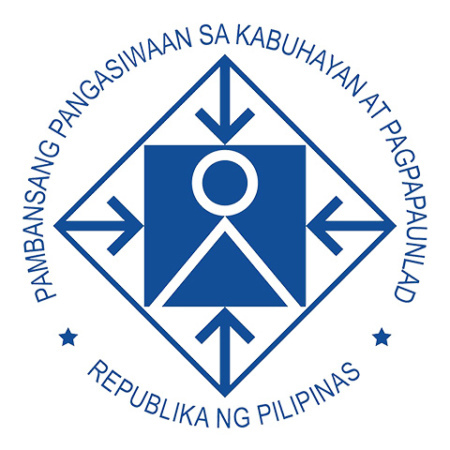 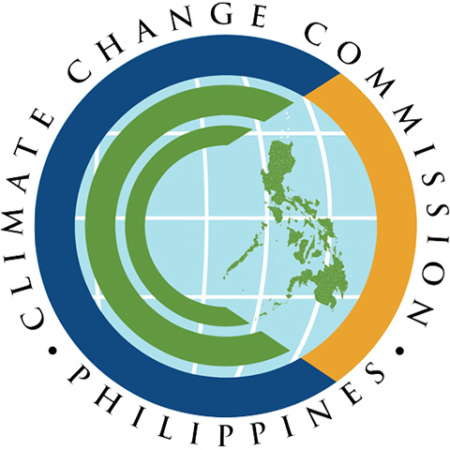 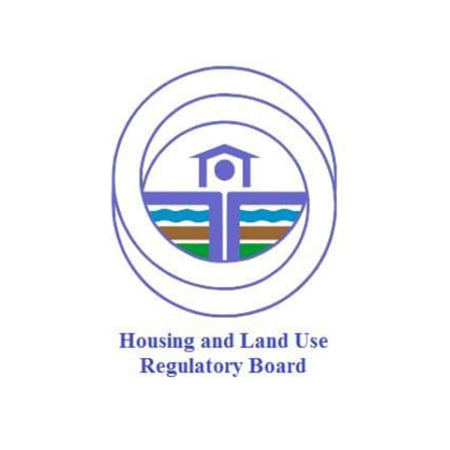 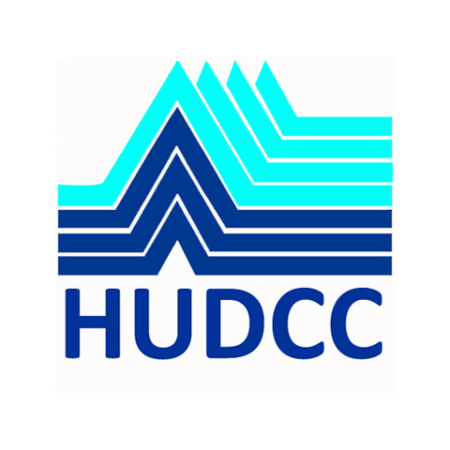 Sandee Recabar of CCC, meanwhile, noted its value toward improving key components of CCC’s work, particularly monitoring and evaluating and its newly formed adaptation team. In order to “see if they internalized how to assess risk using the tools,” as stated by Kyan Punongbayan of UN-Habitat, the event had several interactive activities arranged. Participants’ knowledge of fundamental terms, concepts, and principles was put to the test through a quiz bowl. 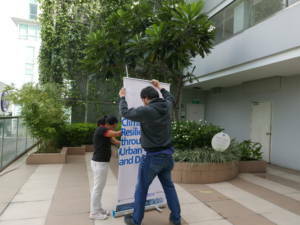 Such “light moments” were able to transform highly technical discussions into layman terms, praised Recabar. 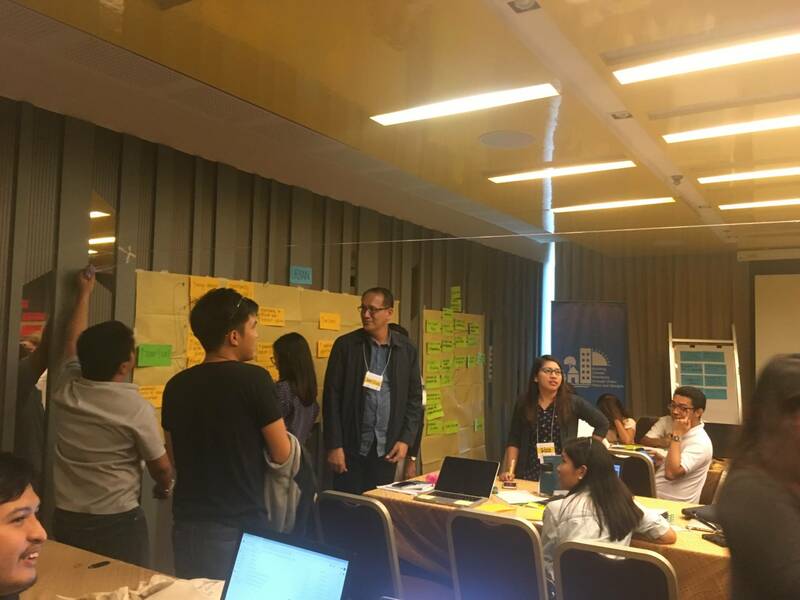 Another activity known as impact chain analysis saw participants break out into groups to determine the impacts of rainfall on four area types—agricultural, coastal, forest, and urban areas. 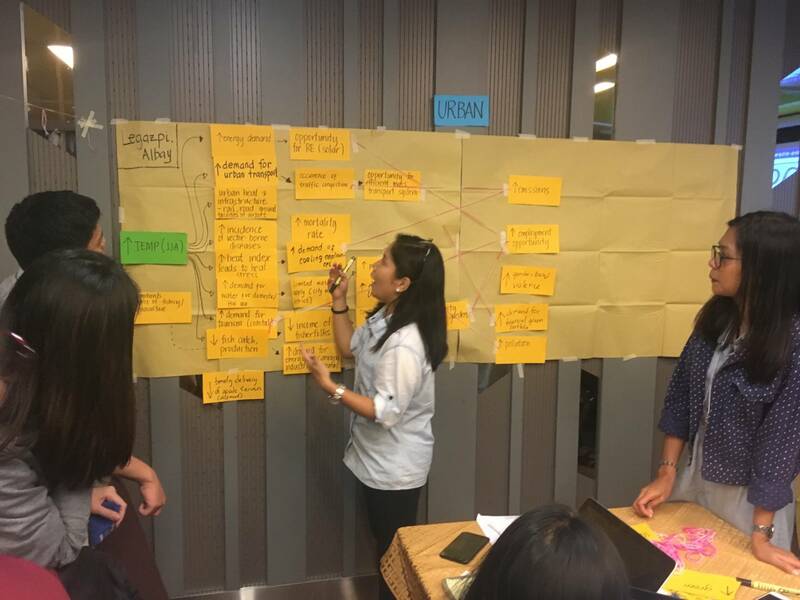 Larisa Togonon of UN-Habitat reminded the groups that impacts could also be positive, highlighting the room to seize opportunities brought by a changing climate. 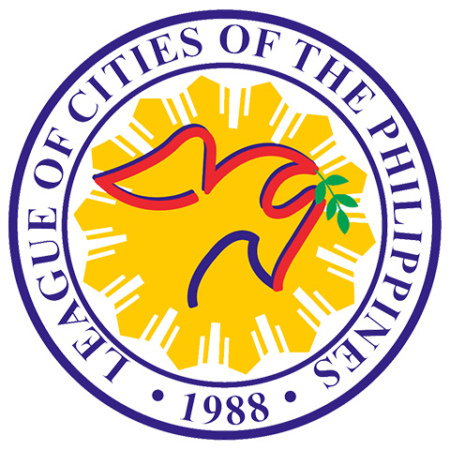 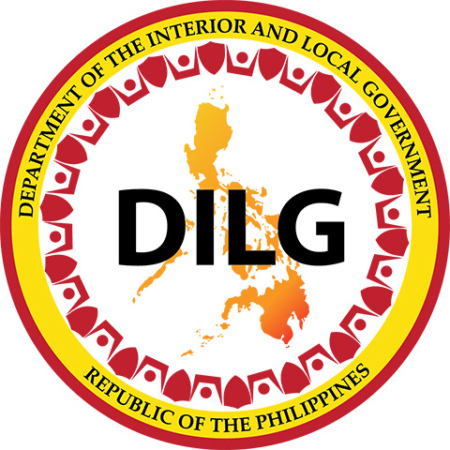 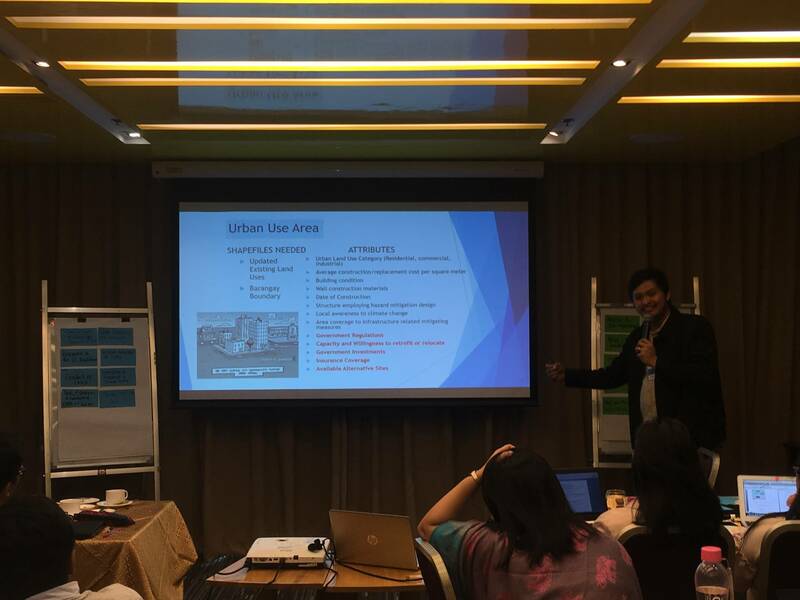 When asked to describe the main lessons learned from the training, Punongbayan aptly sums these up: “ways of assessing risk, the tools you need, and how to address risk with urban planning and design.” Dacumos echoes this, remarking that CCC is now in a better position to assist LGUs with technical input. 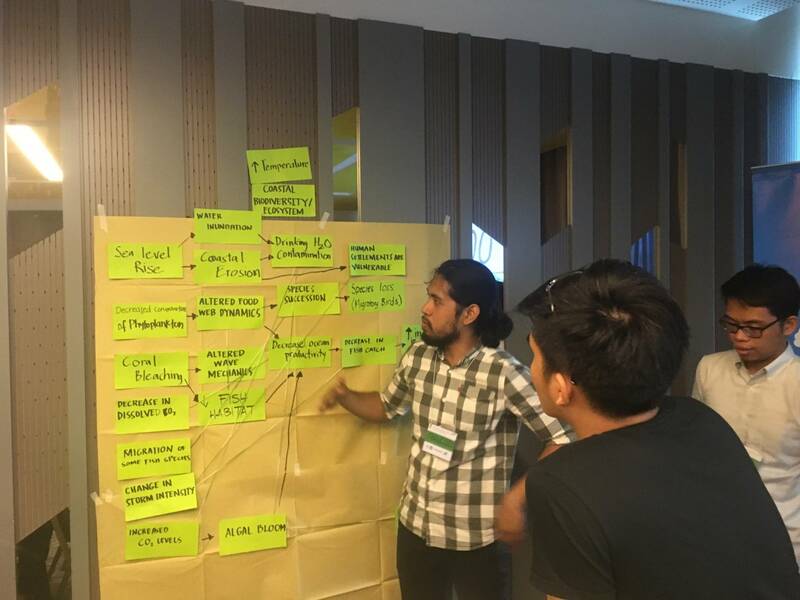 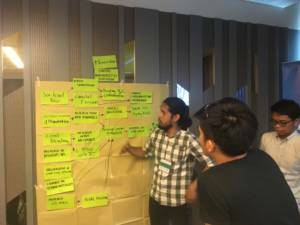 Across four days, participants certainly left with a greater appreciation of risk assessment: the science and process behind it, and how it contributes to mitigation and adaptation efforts.